Dimensions 1.10 by 7 by 9.50 in. Amazon.com description: Product Description: A comprehensive survey of the plants that provide food, beverages, spices, and flavorings, this book will serve as an invaluable reference to gardeners, ethnobotanists, nutritionists, culinary professionals, dieticians, and food enthusiasts. This scientifically accurate guide will allow them to identify all the major plant-derived foods and flavors, research culinary uses, and understand their dietetic and nutritional properties. Introductory chapters cover the various categories of plant use, including cereals, pulses (legumes), nuts and seeds, fruits, vegetables, culinary herbs, sugar plants, beverages, spices, and flavorings. 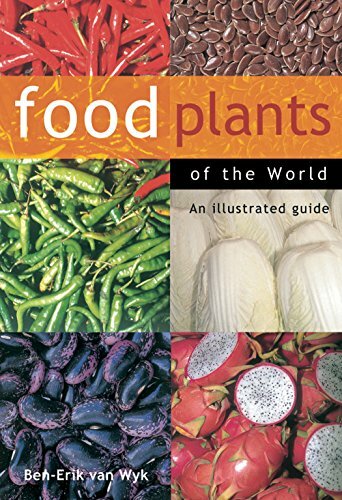 The core of the volume is an encyclopedic description of more than 350 food and flavor plants in use worldwide, with over 1000 color photographs. This accessible, pictorial guide is a concise source of practical information, not readily available elsewhere, and should be on every food enthusiast's bookshelf. About: A comprehensive survey of the plants that provide food, beverages, spices, and flavorings, this book will serve as an invaluable reference to gardeners, ethnobotanists, nutritionists, culinary professionals, dieticians, and food enthusiasts.